Elizabeth Moore Willingham is a medievalist, text scholar, and Romance linguist. She is series editor for the Old French Lancelot of Yale 229 for Brepols and has published critical work in Latin American fiction and film, including Laura Esquivel’s Mexican Fictions (Sussex 2010). She is Associate Professor in the Department of Modern Foreign Languages at Baylor University where she teaches Old Spanish, Romance Linguistics, and Hispanic literature and film. With his Letter of 1493 to the court of Spain, Christopher Columbus heralded his first voyage to the present-day Americas, creating visions that seduced the European imagination and birthing a fascination with those “new” lands and their inhabitants that continues today. Columbus’s epistolary announcement travelled from country to country in a late-medieval media event — and the rest, as has been observed, is history. The Letter has long been the object of speculation concerning its authorship and intention: British historian Cecil Jane questions whether Columbus could read and write prior to the first voyage while Demetrio Ramos argues that King Ferdinand and a minister composed the Letter and had it printed in the Spanish folio. 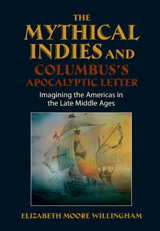 The Letter has figured in studies of Spanish Imperialism and of Discovery and Colonial period history, but it also offers insights into Columbus’s passions and motives as he reinvents himself and retails his vision of Peter Martyr’s Novus orbis to men and women for whom Columbus was as unknown as the places he claimed to have visited. The central feature of the book is its annotated variorum edition of the Spanish Letter, together with an annotated English translation and word and name glossaries. A list of terms from early print-period and manuscript cultures supports those critical discussions. In the context of her text-based reading, the author addresses earlier critical perspectives on the Letter, explores foundational questions about its composition, publication and aims, and proposes a theory of authorship grounded in text, linguistics, discourse, and culture. “[D]etailed and extensively researched” — a “complex and scholarly analysis” — “an exhaustive study of the first announcement of Columbus’s first transatlantic voyages. 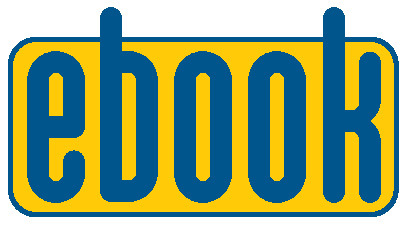 Willingham . . . demystify[ies] how sources become a familiar historical narrative[,] . . . takes the reader on an interdisciplinary journey through history[, and] . . . demonstrates how sources are always open to reconsideration, interpretation, and investigation, thus revealing the dynamism of the [H]umanities . . . . This entire book is an exercise in how to not only read and investigate a source, but also how to construct a sound argument using evidence . . . . Willingham imparts important and, sadly, often neglected information regarding primary source reading and writing. And with the helpful and detailed glossary, the reader has access to the sometimes confusing academic jargon. Jennifer Tellman, Louisiana State University Baton Rouge, Louisiana, Sixteenth Century Journal 49.2 (2018): 613–615. Willingham examines an annotated English translation of Christopher Columbus’s 1493 letter to the Spanish court authenticated with support of facsimiles of the three surviving copies of the letter, two unique printings of it, and a manuscript copy. She offers readers a comprehensive re-thinking of the letter’s critical history, layered discourse, and intentions in contrast to its historic use in revisionist studies of Spain’s presence in the Americas and other critical perspectives on its text and use. The author is a faculty member of Baylor University, Texas.